Last week I attended the ICES20 conference at Mekelle University, Ethiopia. The theme of the conference was ‘Regional and Global Ethiopia – Interconnections and Identities’. My talk was part of the session ‘The Medieval Ethiopian Dynamics (12th-17th C): State, People, Space and Knowledge in Movement’ organized by Ayenachew Deresse and Marie-Laure Durat. This interesting session featured a range of speakers who focused on the history, religion and society of medieval Ethiopia. My talk discussed the results of the survey undertaken as part of the ‘Becoming Muslim’ fieldwork in Harlaa village during the 2017 and 2018 fieldwork seasons. The ‘Becoming Muslim’ project invited our representative from the Authority for Research and Conservation of the Cultural Heritage (ARCCH) Misganaw Gebremichael to join me in Mekelle for the conference. 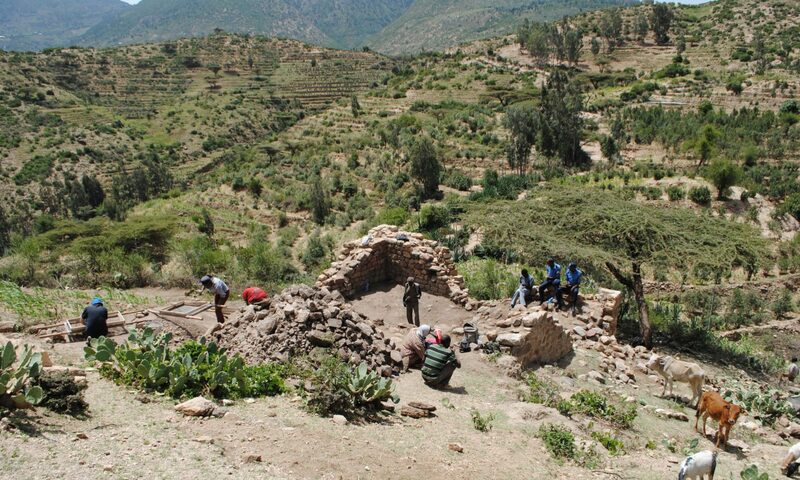 Misganaw presented in the session ‘Inter-disciplinary interconnections for the scientific growth of Ethiopian archaeology’ chaired by Catherine D’Andrea. 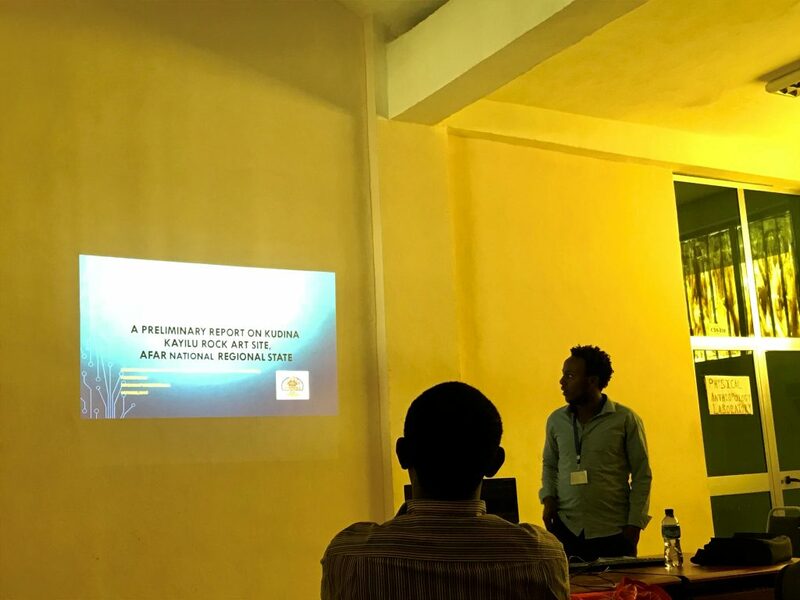 His talk titled ‘A preliminary report of the Kudina rock art site, Afar National Regional State’ discussed results of a field survey carried out in 2017 which documented new rock art sites in the Afar region of Ethiopia. The whole event was a great success for Mekelle University and those working in Ethiopia who helped to organise it. We look forward to the next one in Addis Ababa in 2021. Misganaw Gebremichael giving his talk.